Edited by HalloweenHJB, 29 November 2014 - 20:24. 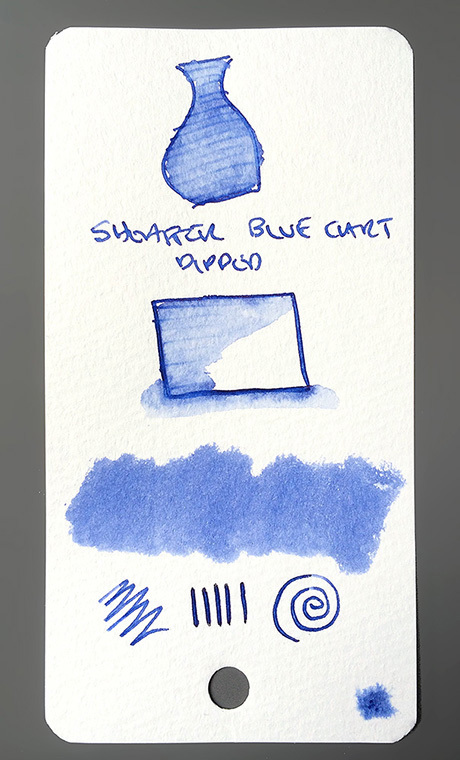 Thanks for this -- I am completely lost on what blue to get! 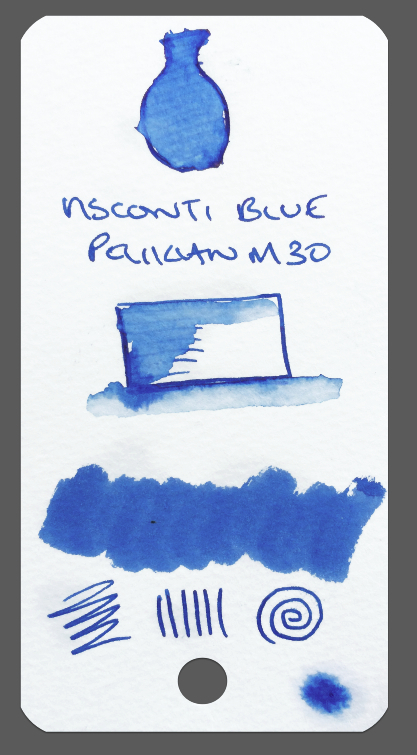 I hope someone posts De Atramentis Atlantic Blue. 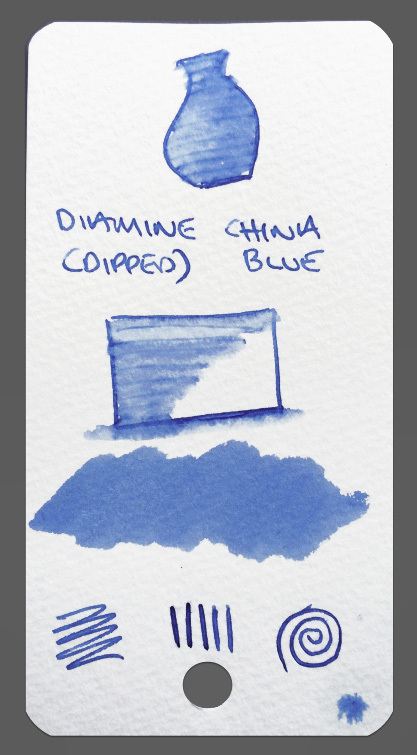 It is one of the inks I am eyeing, although I am so new to this I don't really know what I want yet. 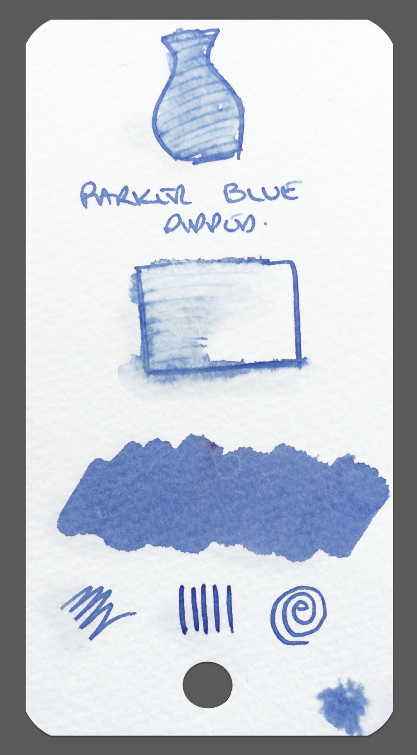 Here are the blues I have currently at the homestead. My attempt at organization was only partially successful. 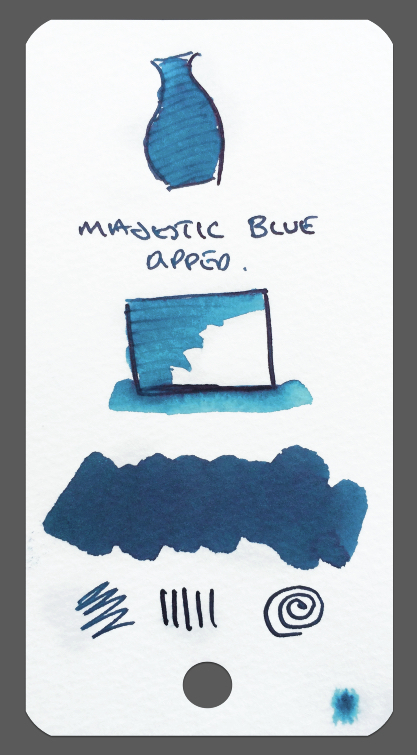 Not a fan of blue-black or dark blues, so mine are mostly bright medium and cyan. 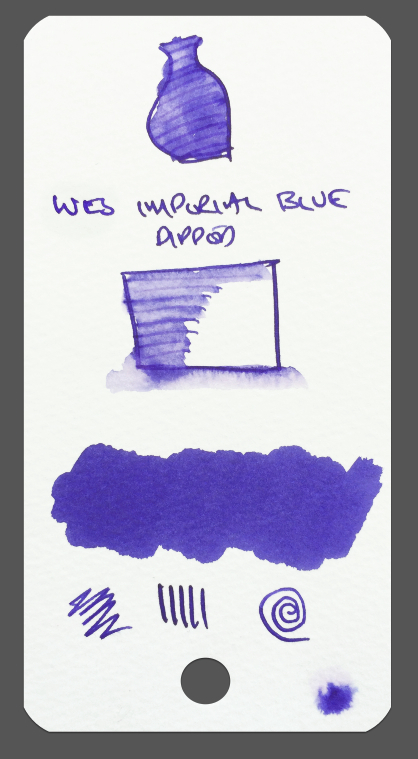 Blue Cashmere changes to more purple tones when a lot of ink is laid down such as the Q-tip swab. Iroshizuku Tsuyu-kusa: why is it not as well known as some other Iro inks? When I first tried Tsuyu-kusa, I thought it was too light, but it has grown on me. 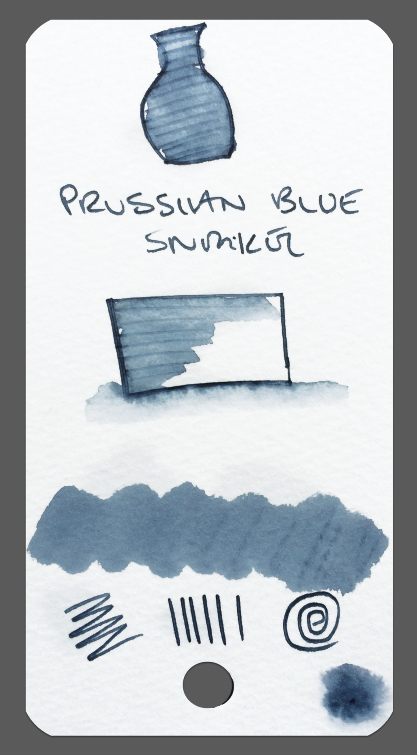 I think it does better in a medium or broad nib. Edited by Tas, 03 December 2014 - 14:32. 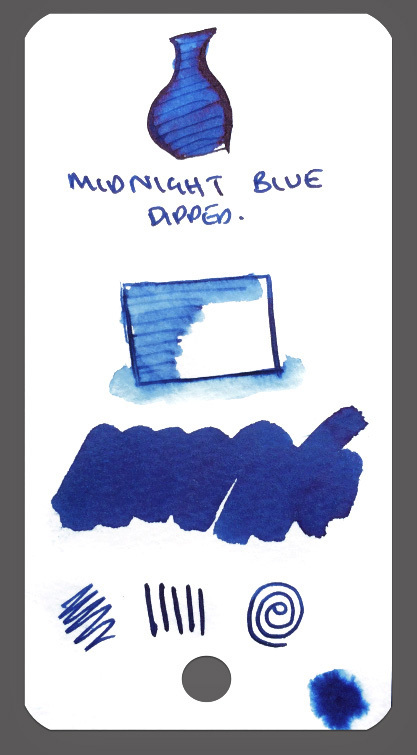 Hey, Tas, quick question... which company for Midnight Blue? 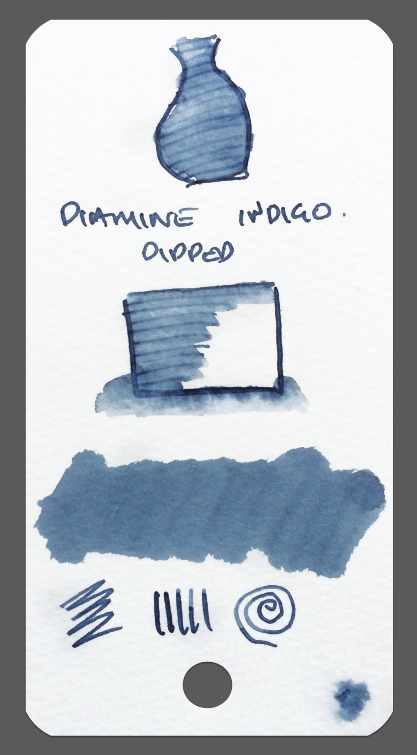 I'm thinking Diamine, but it could be Noodler's or even De Atramentis. Lol - I never forget to do a swatch - HA HA. Oh no, we have the same sense of humor. 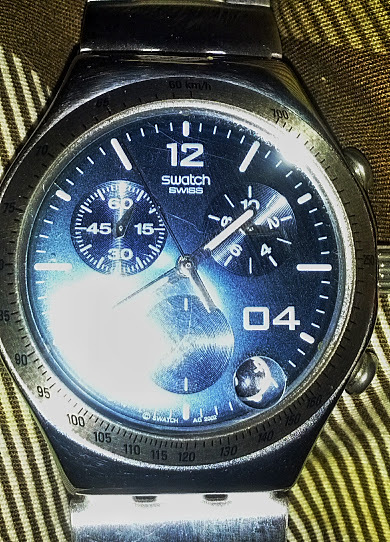 I was seriously thinking about finding an image of the Swatch. I have a silver one, too, if you ever put up a Silver Swatch thread. My favorite blues of your collection. And a lovely collection it is! 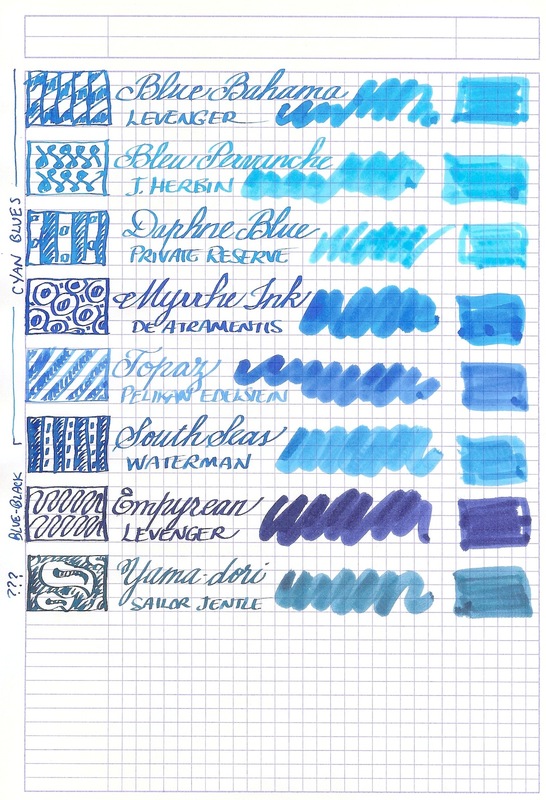 Cool colors loaded up in pens this month. 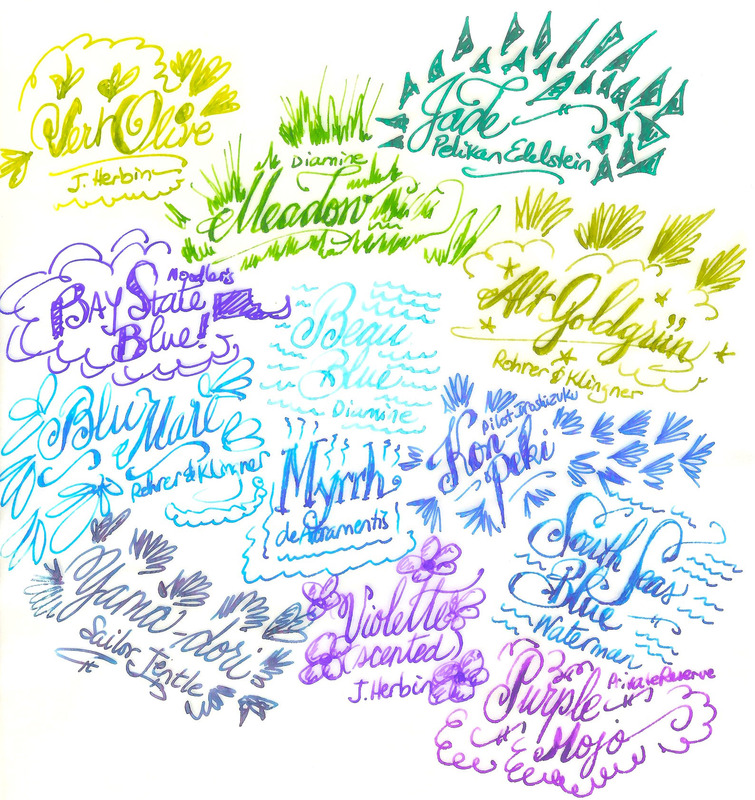 Mostly blue, but some greens and violets. 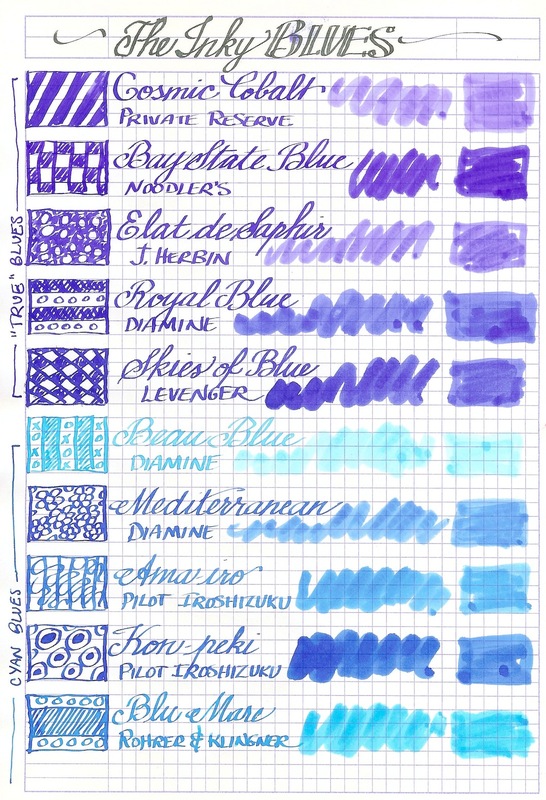 A variety of pens on Canson tracing paper. 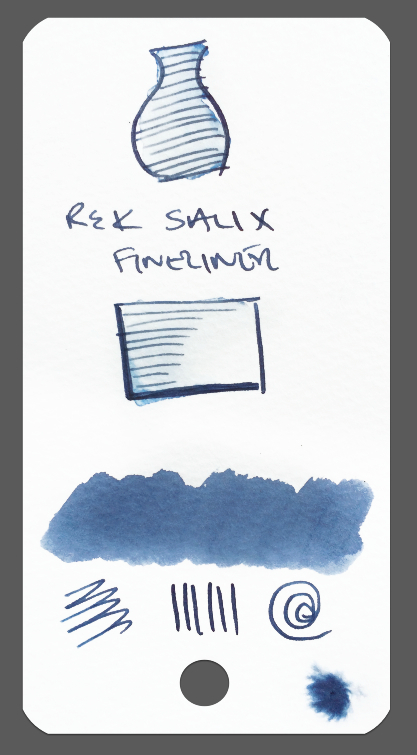 The scan doesn't quite show the splendor of the shading of Yama-dori, South Seas Blue, Kon-peki, and Myrrh. YUM! Edited by HalloweenHJB, 05 December 2014 - 01:45. This makes me want more, more more. Does Santa have an item limit?